Last weekend I attended an introductory pruning demonstration given by Lilian Jackman at WilderHillGardens arranged by the Greenfield Garden Club, of which I am a proud member. I am a bad pruner. I am much too timid, which I am sure is almost as bad as being a too bold pruner. When I face a shrub that has spent blossoms, or dead or broken branches I know what to do with my pruning shears. Take out the dead or damaged wood. Deadhead the spent flowers. When Lilian Jackman took club members on a tour of her gardens to demonstrate how to prune different plants with different pruning needs, or different needs of the gardener, we were all eyes and ears. 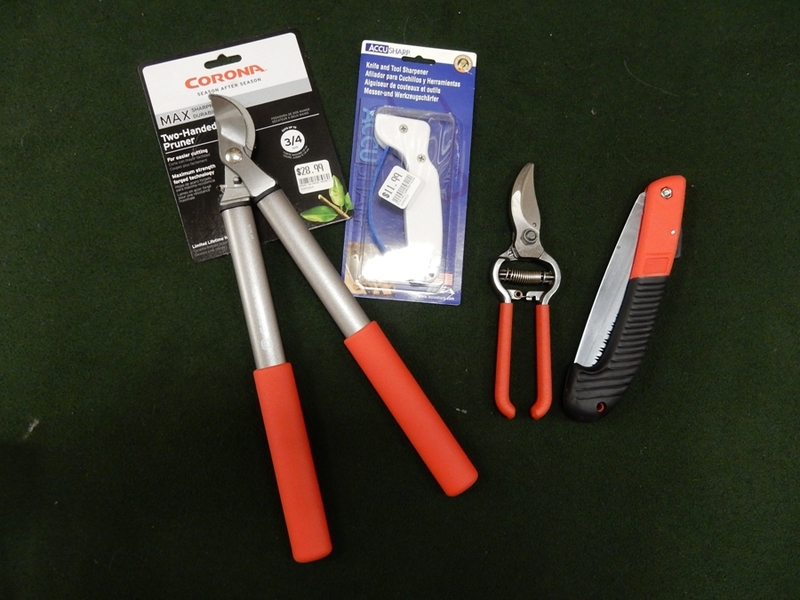 Jackman began by saying that good tools are essential to pruning well. She mentioned bypass Felco and Corona pruners, and stressed the need to keep our tools sharp. She herself begins every pruning session by sharpening her tools with a file, much as a butcher sharpens his knives before setting to work. I have Felco pruners and a Corona lopper for bigger jobs, and I bought a diamond file last year. I am just starting to learn to use that file. It is not difficult, it just takes practice. Like so much in life. She also demonstrated her small folding pruning saw that will make quick work of branches that are too big for pruners or loppers. Tools and sharpening files can be bought at The Farmers Coop in Greenfield, and at OESCO in Ashfield. There are different reasons for the necessity of pruning. Pruning is done for aesthetic purposes, to control size and shape. Pruning a fruit tree is done to keep it healthy and encourage fruit production. Pruning can encourage foliage or flower production on other plants. Pruning can also revitalize a neglected plant. later.In all cases it is necessary to know your plant, when it sets bud and where pruning cuts should be made. 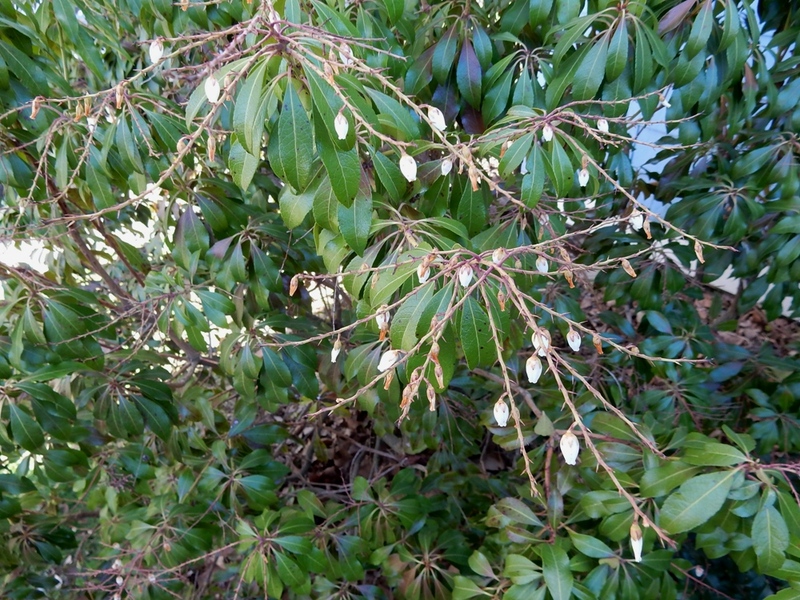 For example, our house came with a Pieris japonica. We missed the bloom season last year because we did not buy the house until very late May, after the Pieris had bloomed. I had no familiarity with this plant and did no pruning. This spring there was very little bloom, and branches were tipped fine spent stems from last year like little tassels. This year, I looked carefully at those spent stems and cut them back to where I could see the new buds, already set. Pruning makes you really look at the details of your plants. A statement that really confused me when I was beginning to put shrubs in my gardens was the difference between old wood, and new wood. Plants like pieris that bloom on old wood should be pruned right after their bloom season. Growth will continue, but the following spring that growth will be old wood and there will be good bloom. Forsythia also blooms on old wood. Plants that bloom on new wood can be pruned in the early spring. The spring growth that follows is the new wood and the bloom will follow. Many of the most popular hydrangeas right now are the hardy paniculata hydrangeas like Limelight, Pinky Winky and Quickfire. They bloom on new wood and can be cut back in the early spring, before leaf buds open to give new strong growth and bloom. Jackman uses hydrangea blossoms in the flower arrangements she creates for weddings and other events. 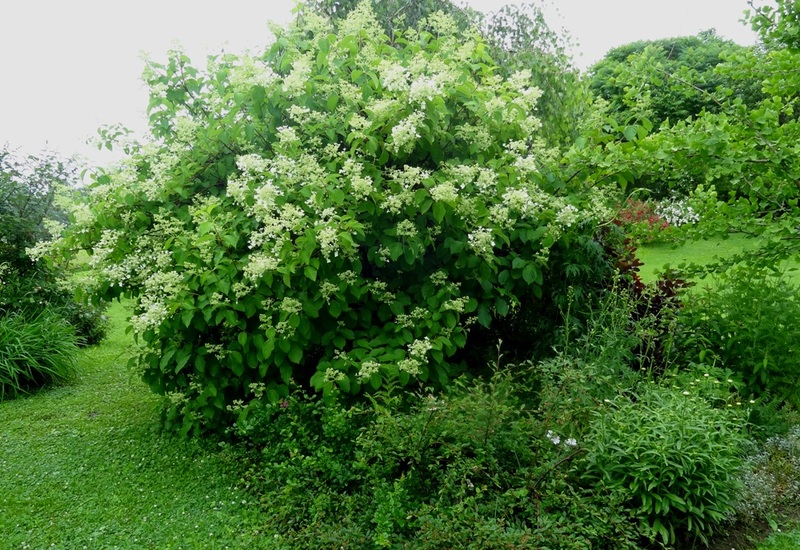 In the spring she cuts the paniculata hydrangeas back about one third, finding a node and cutting just above it. Don’t cut between branches which will leave an ugly stub. She makes sure the center doesn’t get too overcrowded, and also prunes out any branches that are crawling across the ground. I confess I was a bit nervous when she started cutting back those hydrangeas, taking them from five or six feet down to three feet. She assured us that they would send up another three feet of new growth and exuberant bloom. She also showed us the remnants of a macrophylla hydrangea, a bigleaf mophead type. This is the kind of hydrangea that came with our new house. There were shrubs in front of our house but the northern corner was bare. I thought something had to be planted there but couldn’t imagine what. It wasn’t until the end of May that I could see the beginnings of new growth. Once it begins to grow in the spring this type of hydrangea grows rapidly producing a lot of bloom. Certain shrubs like lilacs, viburnams and dogwood should have old stems removed periodically because they thrive with this kind of renewal. In fact, red and yellow twig dogwoods need this kind of pruning because the color is more prominent on young growth. I can see that pruning need not cause angst. I have a garden full of new shrubs; I plan to be brave and to start a pruning regime while the plants are young. However, I can watch them grow for two or three years learning their habits before I have to take up my pruners and set to any serious work. Sounds like a very interesting demonstration. Pruning is one of the few things that my dear husband and I argue about. He loves to prune the beejeebees out of everything and I’m pretty conservative. I’ll have to keep my eye out for a similar session for us to attend together. 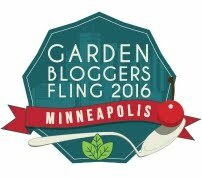 Salemgarden – One thing I have learned is that plants can give up a lot more safely that I ever dared.